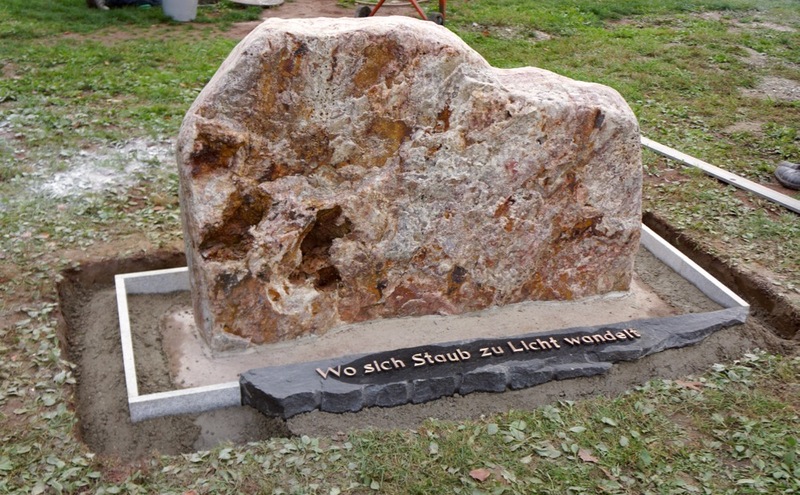 The Border Stone from Odenwald quartz is ready for pick-up at the company Quarzwerk Dude. 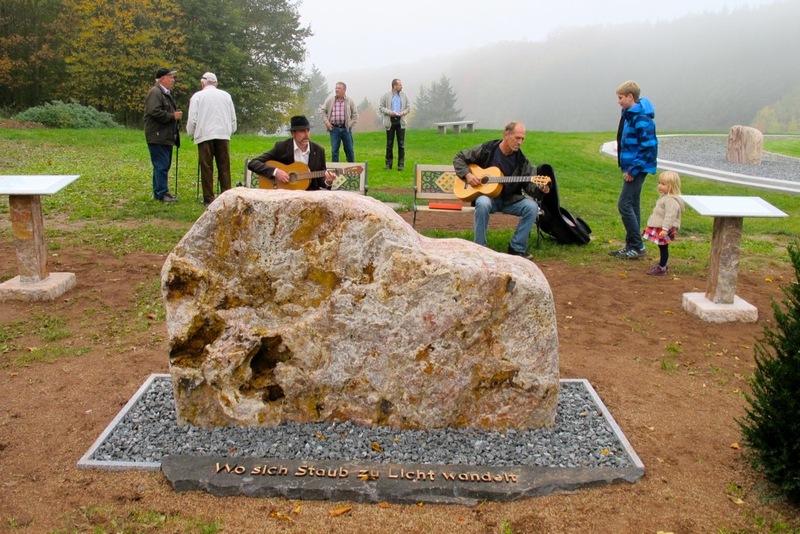 The beautiful material is only quarried at the Borstein mine in Reichenbach im Odenwald. 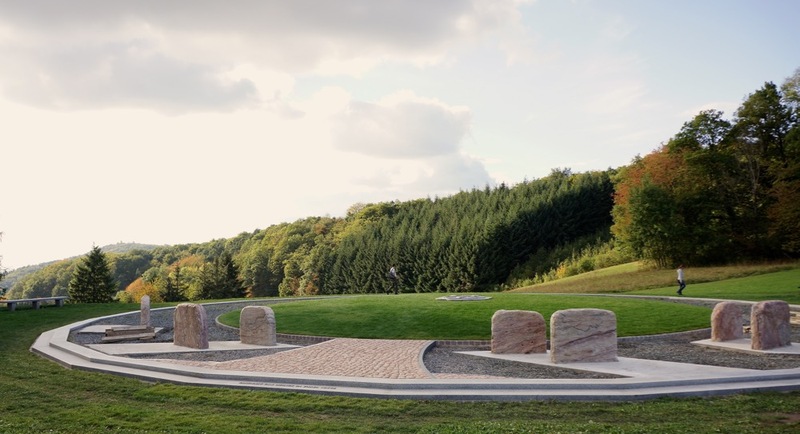 The quarry is situated 2.4 km from the monument site. 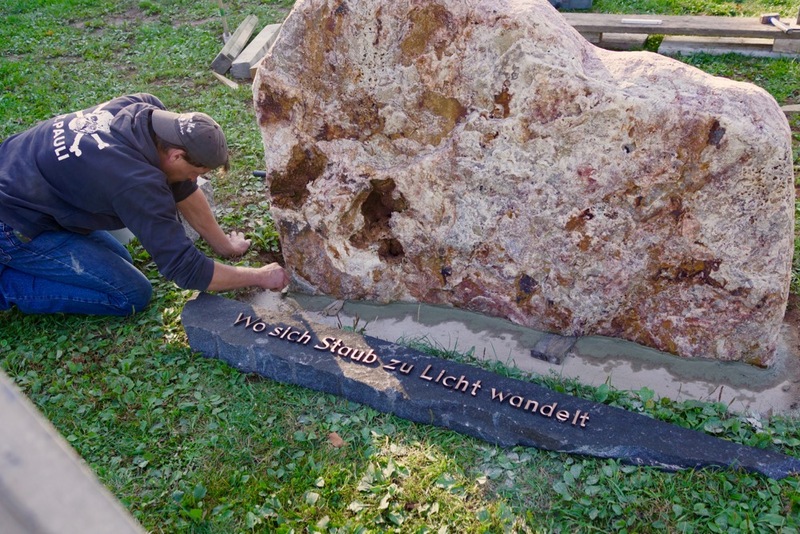 The owner of the company Quarzwerk Dude, Mr Reinig, also manufactured the threshold made from slate stone with inscription, ready for pick-up. 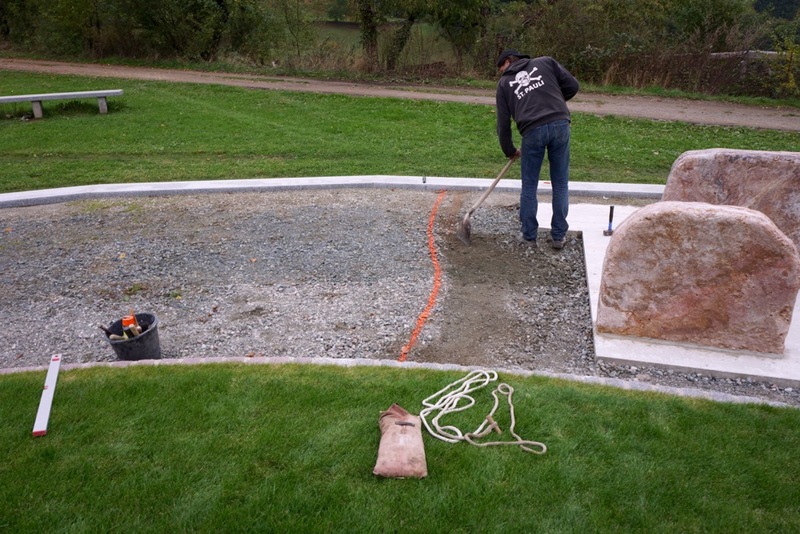 Freddy Thom digs a hole into which the concrete for the fundament of the Border Stone has been poured. 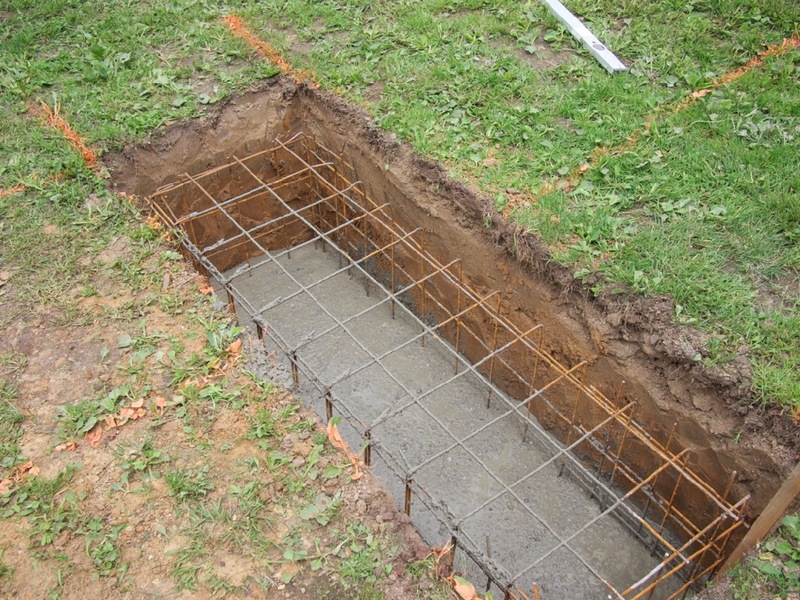 The wire cage has been placed in the hole before pouring concrete. The iron wire mesh stabilizes the concrete. 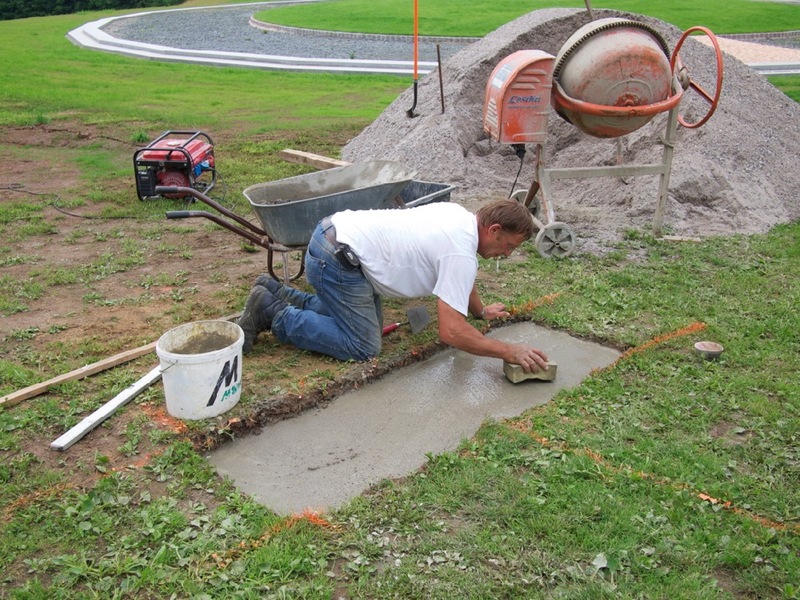 The concrete has been poured. The surface has been smoothened. The concrete now needs to dry out for two weeks. For the time being, we allow the concrete to dry in peace and hide the still-unstable concrete from curious visitors. The time has come. 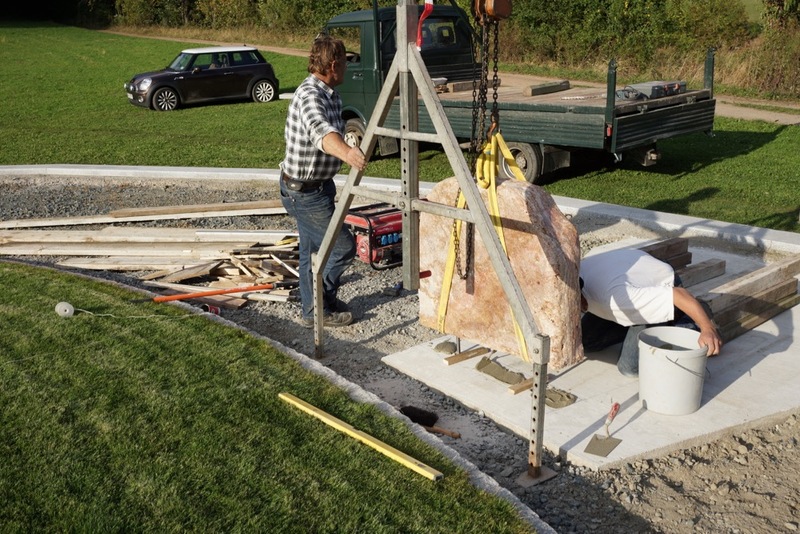 The stone has been delivered and lowered into place, onto the concrete fundament, with a hand crane. Please note the three stainless-steel dowers in the stone. 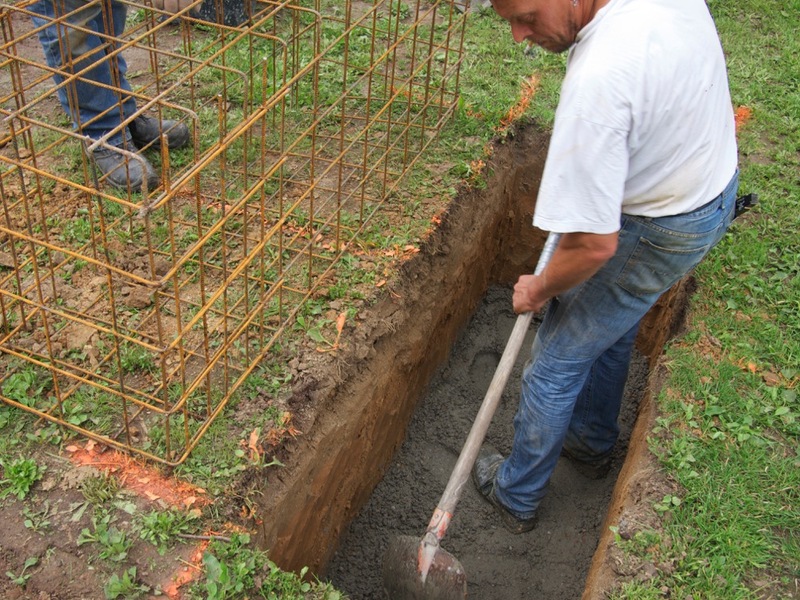 Of course, the three holes in the fundament had to be drilled exactly to size. The threshold made from slate has been put on the fundament. All the construction elements must now dry for a few weeks. We give the stone a rest. 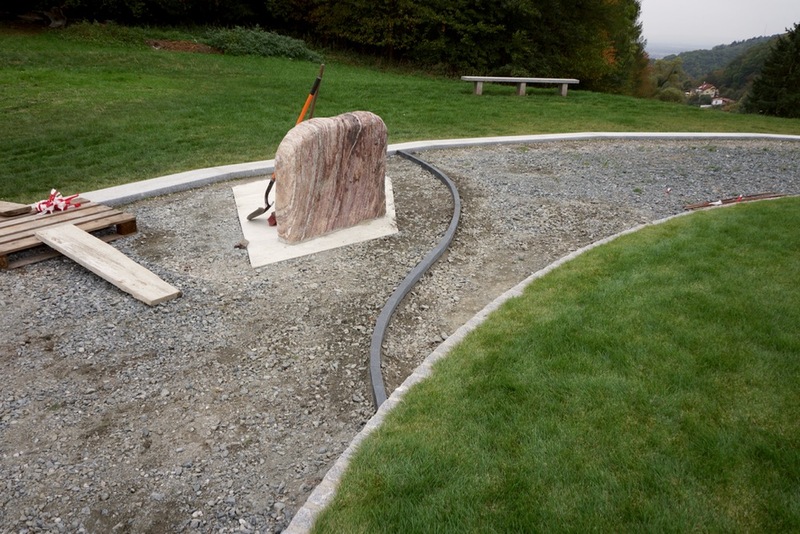 Ferdl Zanitzer draws the dimensions on the stone and the locations of the pre-bored holes for the stainless-steel dowels in the stone. The dowels have been affixed, and the stone has been lowered onto mortar. The stone with the dowels is aligned properly with the holes in the fundament. 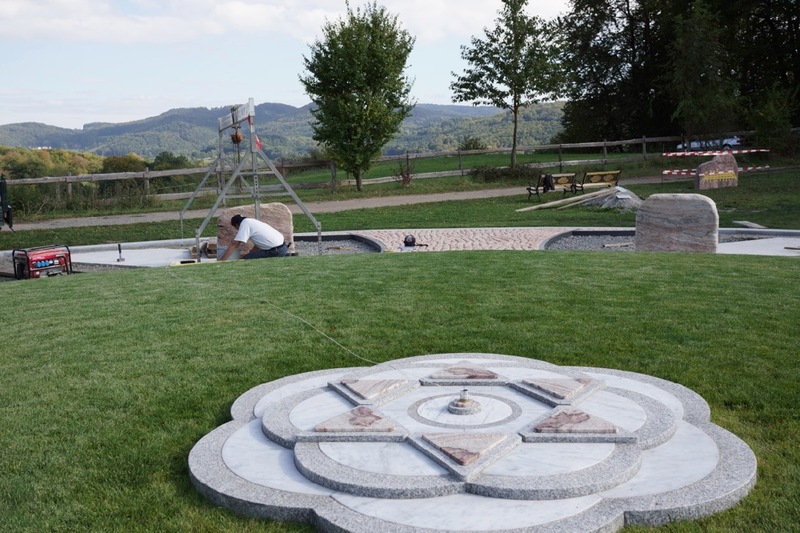 It can be seen how the positions of the commemorative stone will be determined using a wire attached to the center of the Rose of Shalom. 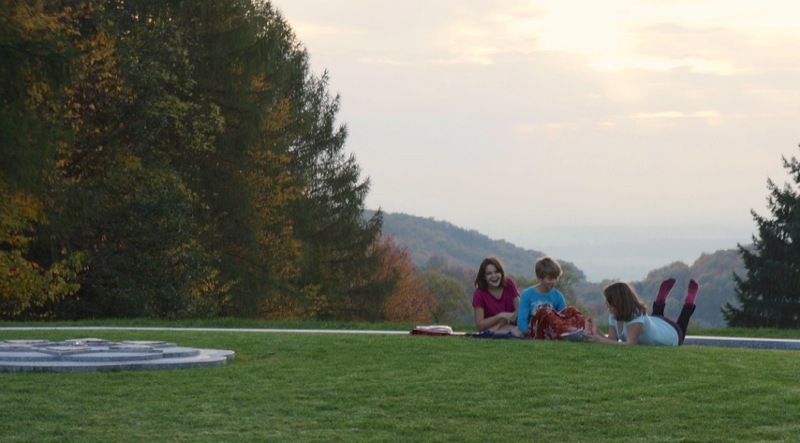 From this point of reference, the Circle of Peace and the whole Garden of Freedom was designed. 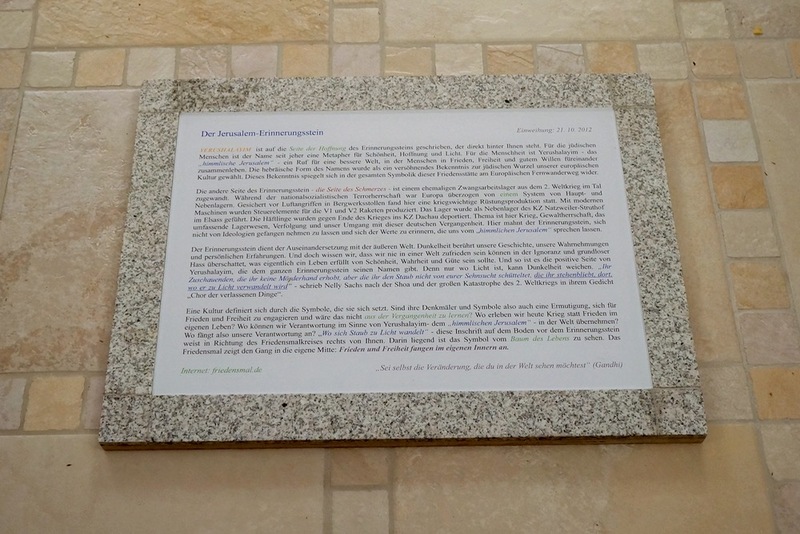 The fourth commemorative stone, of a total of eleven, has been affixed into the concrete fundament. 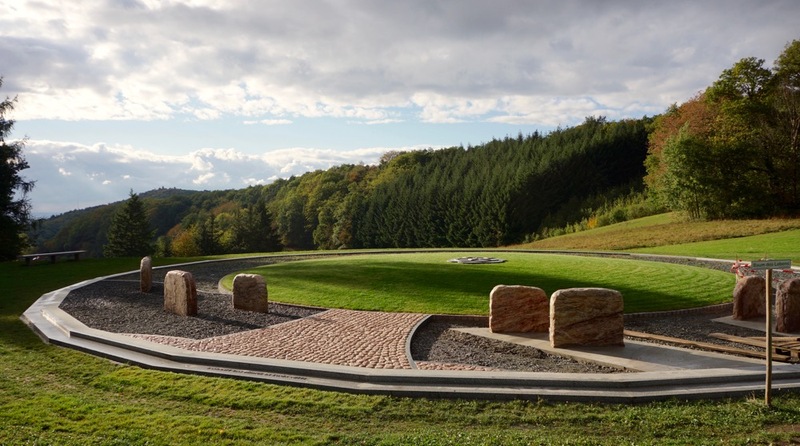 Only one more stone and the inner and middle ring of commemorative stones will be completed. The second row of commemorative stones has been completed. The third row must still be put in place. The stones represent projection surfaces. Are we trapped in the relative truth (projections) of our understanding or can we access the deeper truth in our heart? The Tree of Life breaks through the dark ring of terror and violence. Some stones for the 3th row, the largest stones, must still be manufactured. It is harder to find the material for stones of these sizes in the mine. We therefore shift construction efforts to the “Stone by the Road” and construct the gravel bed. The gravel has been poured in. 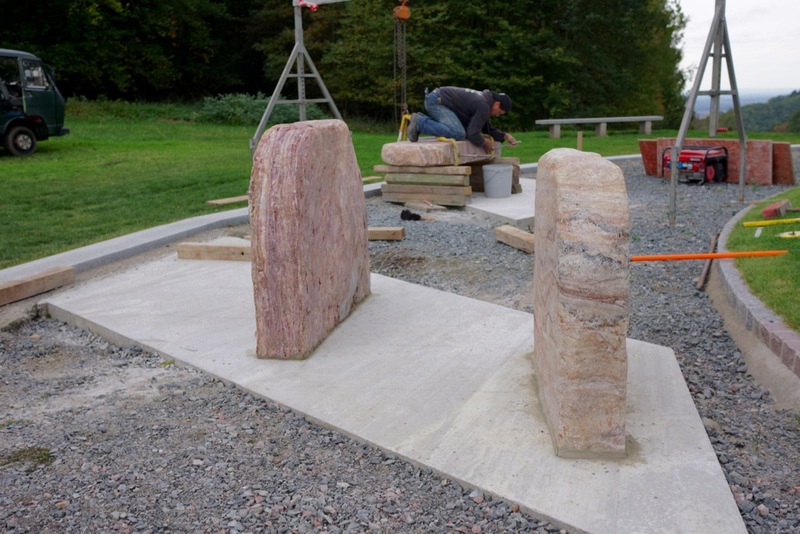 The Border Stone by the road has been finished for now. The information panels and some better looking benches are still missing. 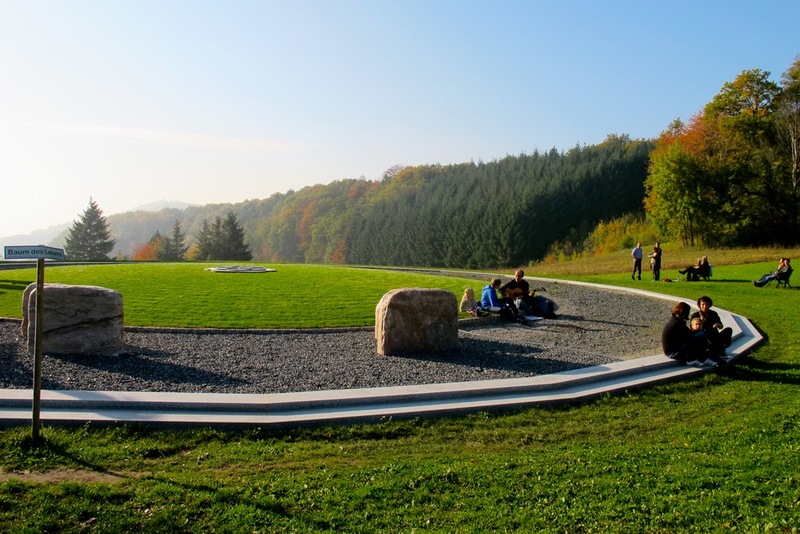 I marked the shape of the arch – used to close off the dark ring of gravel with the commemorative stones toward the dance floor – on the ground. Previously, I intuitively laid out the desired shape with a rope. Freddy and Ferdl then built it. 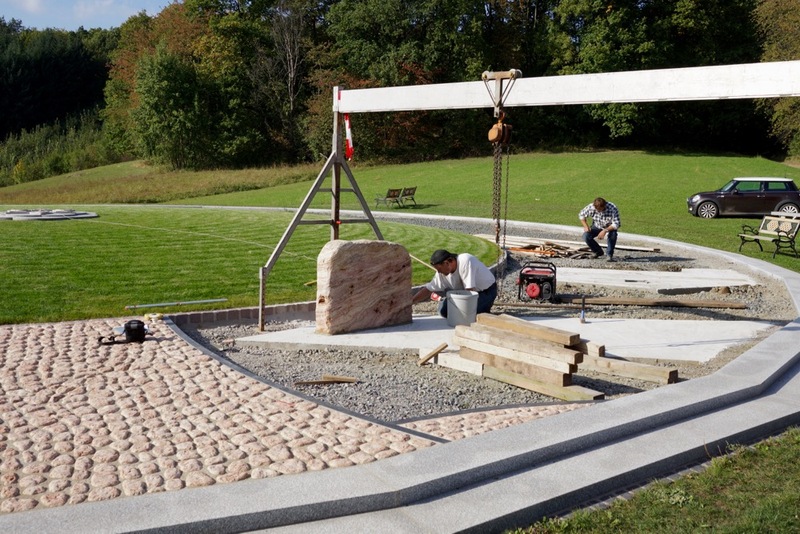 The impala granite stones manufactured to size by the company Kurz Natursteine have been placed in an arch shape. The arch deviates from the sketch line shown in the image before this one, as this is the other side of the monument with a different arch form. The fundaments have been covered by gravel on the left-hand side. The fundaments are still visible on the right-hand side. The fundaments on the right-hand side have been also covered with gravel now. It’s barely noticeable that a row of commemorative stones is still missing. An orderly look is necessary for the inauguratory celebration of the commemorative stone outside of the circle, the Border Stone. Numerous guests are expected. I assembled the two information panels in my living room. 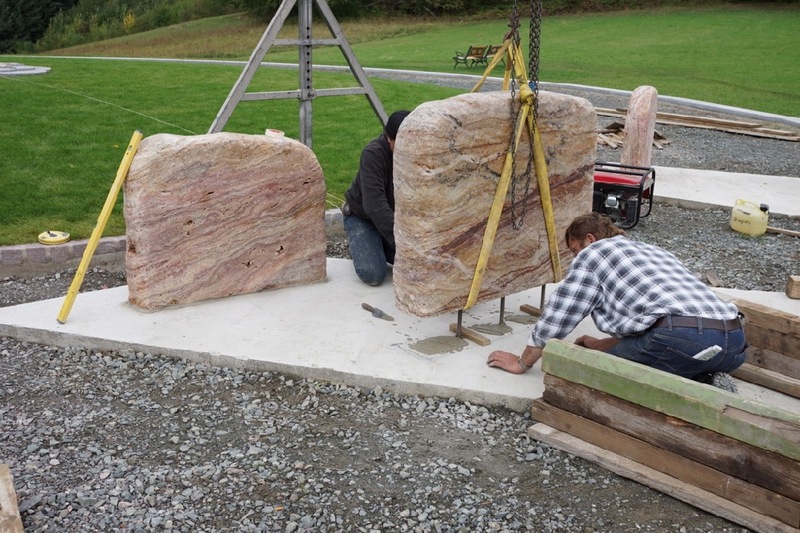 The panels shall be installed on their stands, which are already in place, before the upcoming inauguration of the Border Stone. Both completed information panels can be seen here. 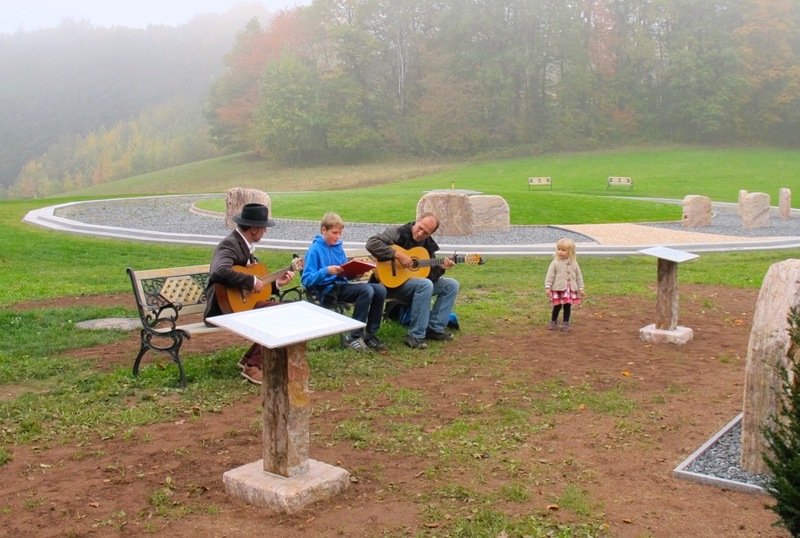 The stands were cut to size from Odenwald quartz by the company Quartzwerk Dude (Mr Reinig). They consist of two parts, the foot and the column. 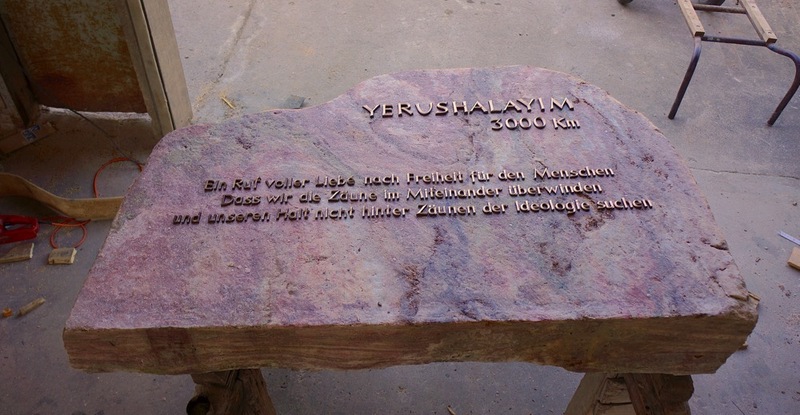 The date is October 21, 2012, shortly before the inauguratory celebration for the Border Stone (in the picture) begins. 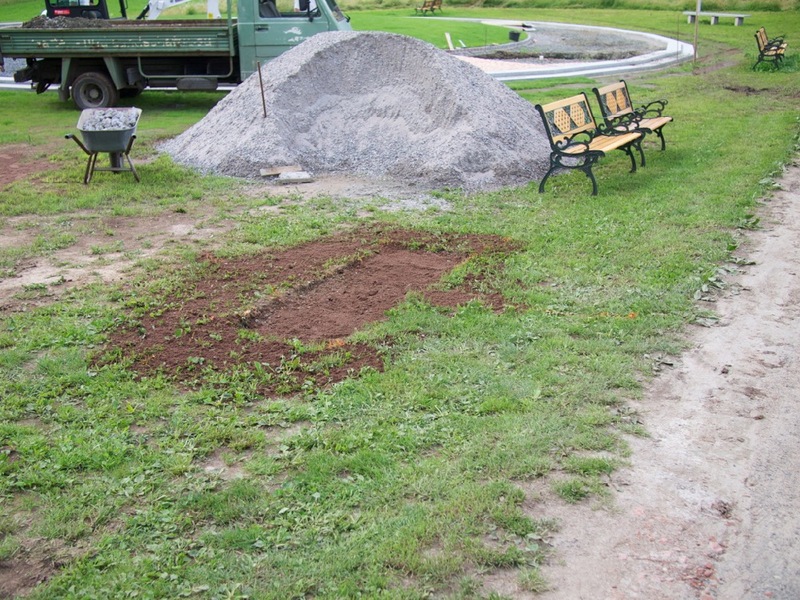 Construction will resume immediately after the celebration, as the third row of commemorative stones is still missing, and Mr Reinig can now deliver these all at once. 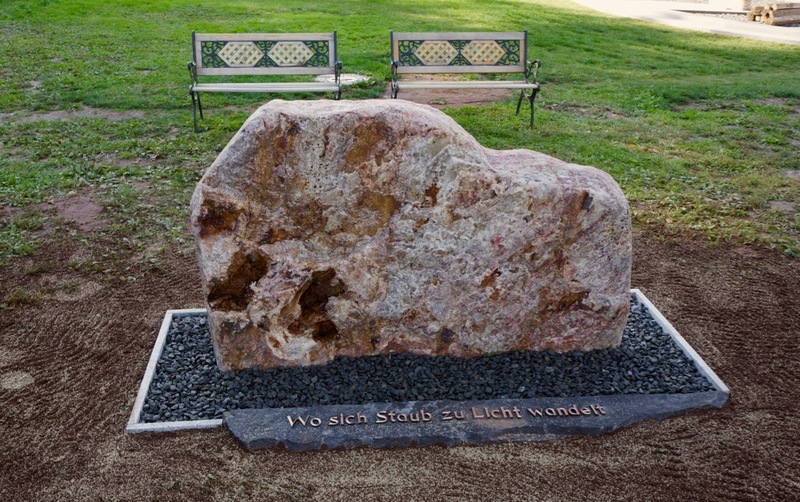 It took him two years to find the suitable raw material for these unusually large stones. 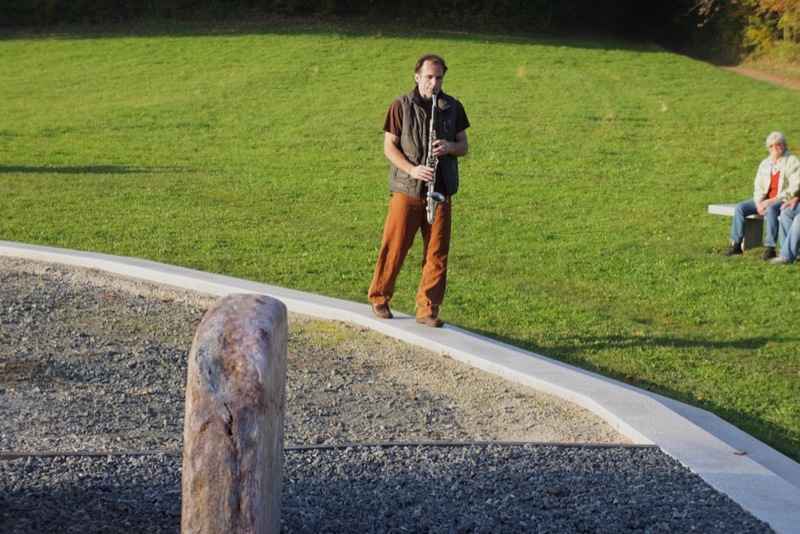 A man spontaneously approaches the Threshold of Humility surrounding the monument after the inauguration to play the melody of “Hine Ma Tov Uma Na'im”. A few days later: children start to discover the site. The third row of commemorative stones in the monument also has been set now. 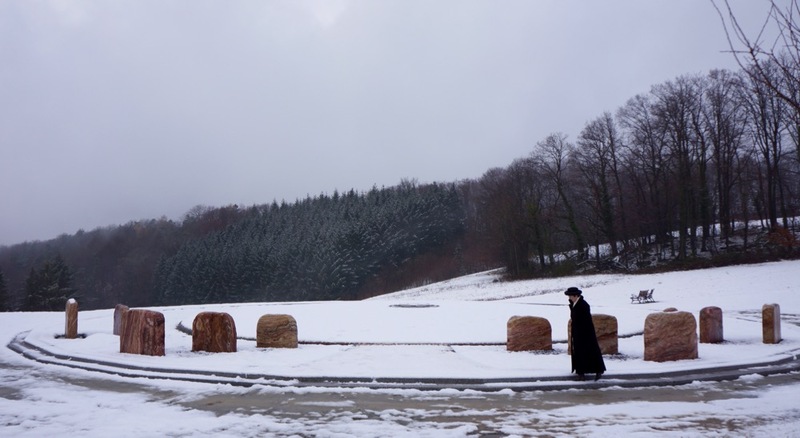 Mrs. Weiland from Fulda, the former second chairwoman of our association and the former chairwoman of the Fulda Jewish Commune visits the Circle of Peace. She circles the Tree of Life walking on the Threshold of Humility.